Creating a social media marketing plan that works for your schedule, plus tools I love for creating great images. Are you marketing your business through social media? A lot of solopreneurs seem to shy away from social media marketing because the challenge of learning about new platforms and finding time to post great content is daunting. I understand completely. I've been there. Honestly, I still work hard at finding time to create compelling posts, and I'm always on the lookout for ways to boost productivity without losing quality. Social media presents such a fantastic opportunity for craft professionals to promote their products, it's really worthwhile to make the time to learn best practices and engage with people. You don't have to be on every social site. You just need to have a great presence on social sites that can help you meet your business goals. 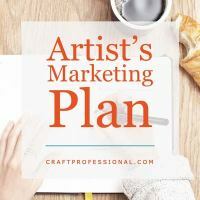 This week we'll look at why you should create a plan before you dive into your marketing efforts, how to set up a sane social media strategy that leaves you time to also have a life, and a roundup of free and affordable resources you can use to quickly create great images for your social media accounts. Before you dive into any marketing efforts, you need a plan. You want to be able to reach out to potential customers repeatedly, over time, in a consistent way that communicates the right message. The best way to ensure that happens, and avoid haphazard marketing, is to create a plan. You can make social media marketing work for your business, and it doesn't have to completely take over your life. 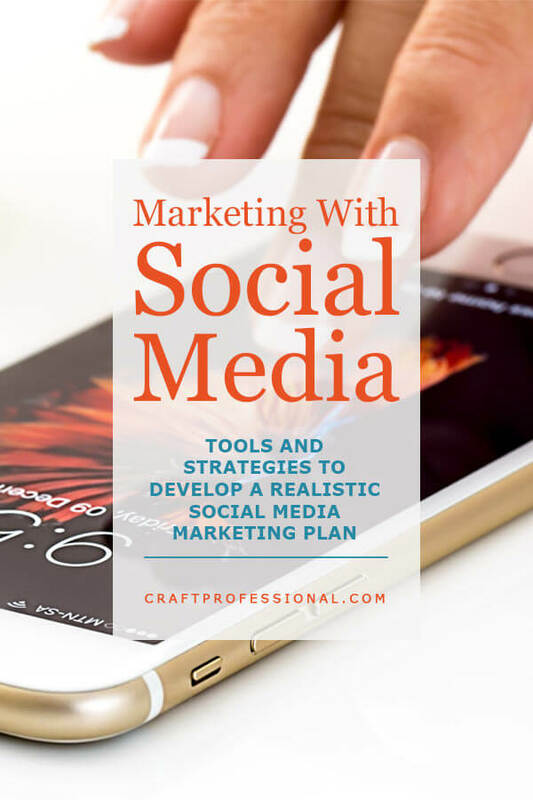 Here's how to develop your own social media marketing plan that is a good fit for your business goals and fits within the time you are able to make to connect with your niche online. 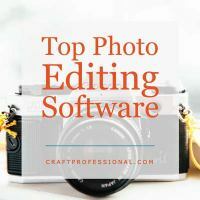 Here's a roundup of image editing software and apps I've used and liked. They all serve slightly different functions. 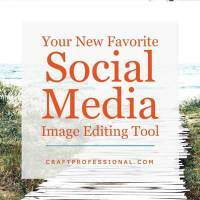 You can use them to create images that are sized perfectly for a variety of social media sites, or for your Etsy shop. Some can be used to edit digital images to submit with juried craft show applications. Many are free. A few have a cost. They all offer excellent value for what they do. Canva is particularly well suited for social media image editing because it has presets that automatically let you size your images perfectly for a variety of social platforms. 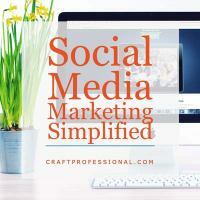 Read on to see how to use Canva to simplify your social media marketing workflow.